If you are tired of having to hook up and refill your portable generator every time the power goes out, then a standby generator may be a better option for you. With a variety of improvements over portable generators, there are many reasons to have B&L Ott install a new standby generator system in your home. Keep Appliances Running During Outages – When the power goes out for long periods of time, it can be a real inconvenience for you and your family. Without a generator for backup power, you are left with no heat or A/C, no lights or appliances, and sometimes without running water. With a Generac generator installed by B&L Ott, you can keep the necessary devices running so your family can continue with their daily lives. 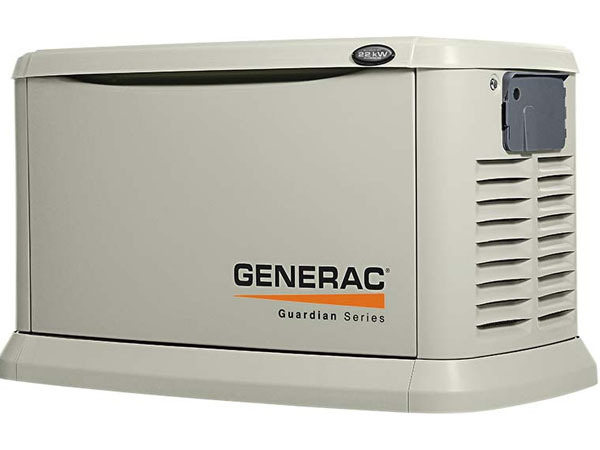 Completely Automated – Generac generators have sensors that tell the system to turn on automatically when the power goes out and shut off when it comes back on. There is no need to go hook up wires or flip switches to get your power back. If you are out and about, you do not need to worry about the consequences of lost power. You won’t need to babysit your generator, making sure to refill it every time it runs low on gasoline. You won’t need to run to the gas station in the hopes they have power so you can fill your gas cans to keep your generator running. Your generator will simply turn on and run when the power goes out, and shut down automatically when the power is restored. Cost Effective – Generac generators run on natural gas or propane which is more efficient than gasoline. The cleaner energy increases the efficiency of your system and leads to a longer life which saves you even more money in the long run. Greener – Natural gas and propane based appliances produce significantly less carbon monoxide than outdated gasoline models, thus reducing air pollution and helping sustain the environment. Generac has created a variety of models with different features for those who have specific concerns about their backup power. If you are interested in having 24/7 remote monitoring access to the status of your system, we can install a remote monitoring system. Our trained technicians can help you find what you are looking for and help you choose the best solution for your home. We are Generac certified for installation and service. It is important to choose a certified Generac installer to insure that your system is properly and safely installed and warranteed. It is also important to choose a certified Generac service company for ongoing maintenance. Many companies are certified Generac installers, but do not have their service certification. This is very important! If you are interested in improving the efficiency, cost, and ease of using your generator, contact B&L Ott to schedule an appointment or learn more. We will respond quickly and provide excellent customer support.